The bio of Bert Pike of Launceston. | Launceston Then! Albert or Bert as he was known, was born in 1890 to Albert and Thirza Pike at Race Hill, Launceston. His father was a shoemaker. Who came from Stowford, Devon. Or frederick Albert Pike b 1907 d 1995. On leaving school Bert went to work for Charles Ball of Westgate Street as a Baker. Another of his jobs was to go around the town putting out the gas lamps. 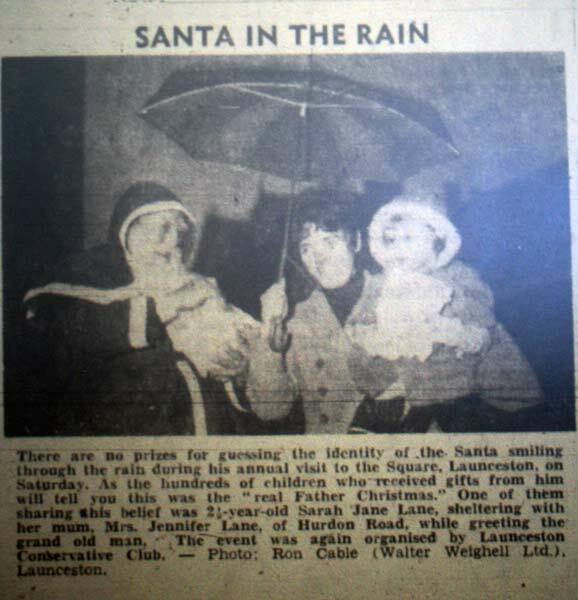 He later worked as a window cleaner around the town, but is best remembered for his vital role on Saturdays where he would collect numerous copies of the ‘Evening Herald’ of the train and later the coach and then proceed to works his ways around Launceston’s pubs selling individual copies as he continued on his ‘pub crawl’. He was such a character and one of the things he used to do was in the pub, start cracking and eating raw eggs straight out of the shell, and finding it highly amusing as visitors and strangers turned green and headed for the toilets. Another piece of entertainment that Bert was renowned for, or rather it was his springer spaniel ‘Dill’ . Bert would put the beer mat half on the table and Dill would hit it up in the air then catch it. 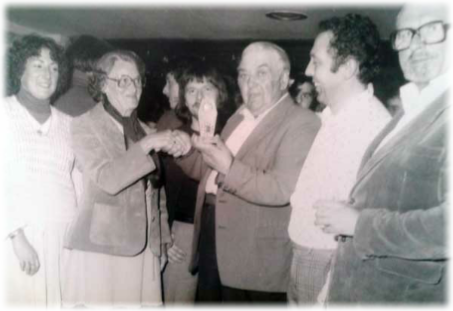 Bert was always a strong supporter of charities especially in raising funds for Leukaemia (below he is being presented with an award in recognition of his work for the charity). 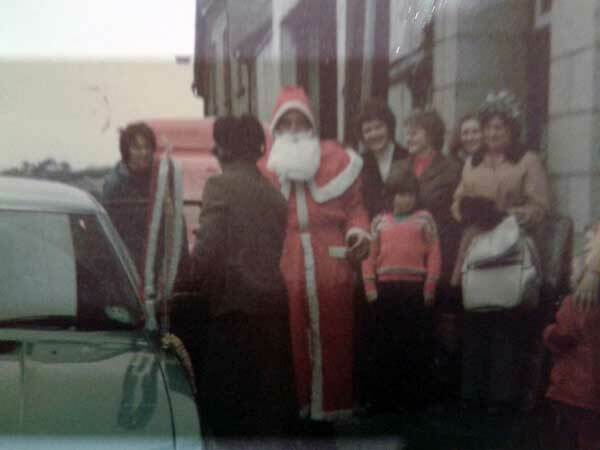 Another annual event that he took part in was to act as Father Christmas in the town. 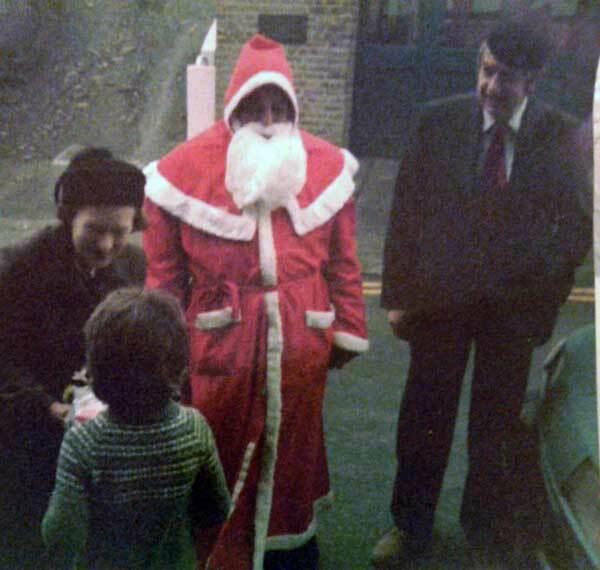 Above Bert Pike as Santa with Colin Gillbard. 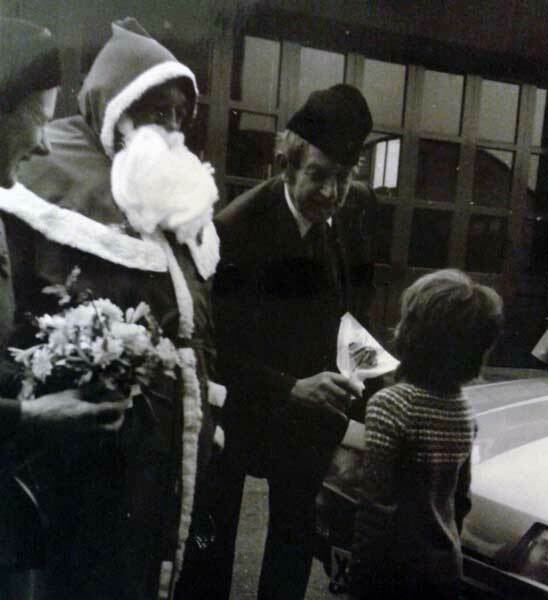 Bert Pike as Santa in 1976.